Foxtrot, the popular food and alcohol delivery service with four storefront locations in Chicago, is the fourth recipient of a venture investment from the UChicago Startup Investment Program. The company has received $450,000 from the University of Chicago as part of their $6 million Series A round, which is led by Fifth Wall. 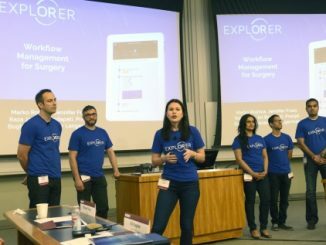 Foxtrot joins ExplORer Surgical, Tovala and Ascent Technologies in receiving an investment from the University of Chicago through an initiative in which the University co-invests alongside established venture funds in startups led by UChicago faculty, staff, students and alumni. The University has set aside $25 million from its endowment to invest in startups raising early funding rounds. 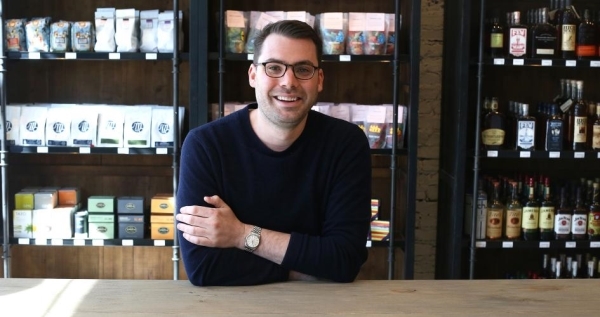 Michael LaVitola, MBA’14, founded Foxtrot while in his first year at Chicago Booth. What started as a delivery service for fine food and alcohol has grown to four storefronts in popular neighborhoods across Chicago. When Foxtrot launched in 2013, the company had a mobile application that delivered a curated selection of items, often tailored for those entertaining—from craft beer, to fine cheese, to specialty ice cream. Two years later, Foxtrot opened their first brick-and-mortar location in Lincoln Park, and quickly followed with a space in the West Loop. While going from mobile app to physical location might seem out of order, Foxtrot’s expansion to physical locations has allowed the company to expand their customer base while letting users interact with the products, while also serving as a distribution center. For their third location, Foxtrot also entered into a partnership with Jeni’s Splendid Ice Cream chain, featuring a “scoop shop” as part of their space on Armitage. Like the three other recipients of the UChicago Startup Investment Program, LaVitola grew Foxtrot through the Polsky Center’s Edward L. Kaplan, ’71, New Venture Challenge. By the end of the three-month class, LaVitola had a technical cofounder to build the mobile app, a distributor to get the items and a delivery partner—the main ingredients needed to make Foxtrot a real company. The Polsky Center’s support of Foxtrot didn’t end with the New Venture Challenge, or with LaVitola’s graduation from Chicago Booth. “Since I graduated, the Polsky Center has been extremely helpful. With things like introductions to venture firms or executives in the space or others who have been further along in the startup space, we’ve gotten a lot of our early traction through the Polsky Center network, which makes it a great place to always come back to,” said LaVitola. Foxtrot plans to use their recent funding to grow their physical presence, with plans to finish building out Chicago and hopes to be in a new market by the end of the year. LaVitola owes much of this recent funding, which will also allow the company to grow their team from their very lean five employees, to the UChicago Startup Investment Program.